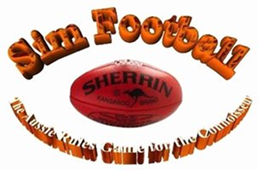 Sim Football © Registered in Victoria 1994. The Name, Rules, Intellectual Properties and Logo of Sim Football © are Copyright 1993, 2001. All Rights Reserved.